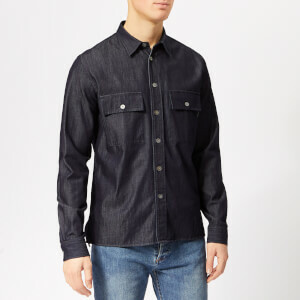 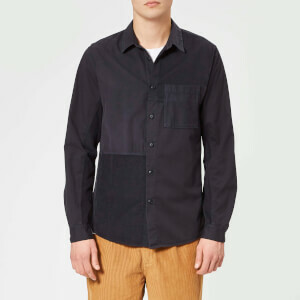 Men’s navy corduroy shirt from Parisian fashion label, Officine Générale. 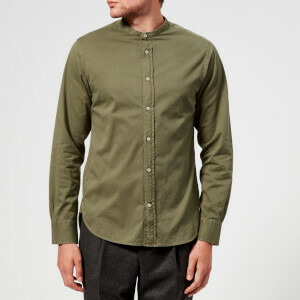 Crafted from textured cotton corduroy, the ‘Dario’ shirt features a spread collar with notched lapels, two chest pockets with concealed buttons and a stepped hem with side slits. 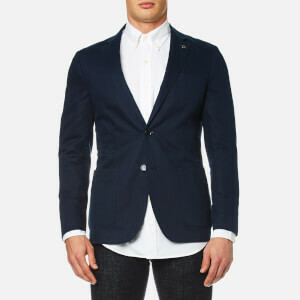 Complete with a pointed shoulder yoke, button cuffs and iridescent mother of pearl buttons.